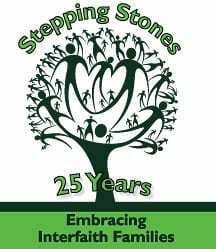 Denver, CO –Stepping Stones, a 25-year-old Jewish outreach organization, was recently awarded a prestigious grant to launch an invigorated initiative to reach Jewish/non-Jewish interfaith families in the Denver/Boulder area. During a 12 week blitz that will conclude on November 5th, the organization will endeavor to connect with at least 2,500 people, 800 of whom are new to the organization. A 2007 Jewish community population study determined that 71% of the marriages with Jewish partners in the Denver metro area are interfaith. This accounts for approximately 30,000 individuals living in interfaith households. Stepping Stones is the only Jewish outreach organization in Colorado that is not affiliated with any religious movement or body and focuses its programs and services exclusively on interfaith families. In a supportive and non-threatening way, the Stepping Stones staff members and volunteers offer information, classes, and a listening ear in a way that embraces individuals in interfaith families and assists them with the unique challenges and opportunities that they face. 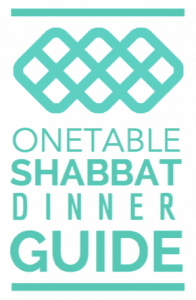 During this blitz there will be 17 different events for interfaith couples (dating or married), families, and relatives of interfaith couples and families. Stepping Stones is committed to helping the Jewish world be open and accepting of all Jews, whether they are single parents, interfaith, unaffiliated and Jewish, Jews of color, a part of a gay, lesbian, bisexual, or transgender community, or of a liberal, Conservative or Orthodox background. All are invited to check out the exciting programs and social events that will begin this fall. For more information about Stepping Stones or to join a program contact Stacey Delcau, Education Director, at 303.388.1198 or delcau@steppingstonesfamily.com.